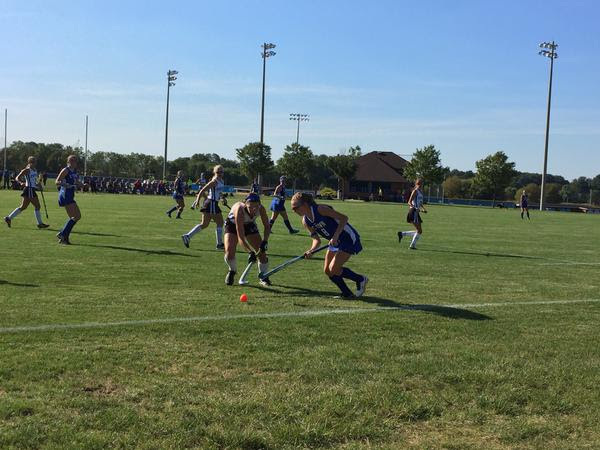 On Tuesday September 15, the L-S high school field hockey team played Elizabethtown. The game was played on their home field. This was a very big game for L-S; E-town is a very good team and L-S did not want to lose to them again like they did when they played them at E-town the previous year. As the L-S field hockey team huddled together with their coaches, head coach Katrina Swarr and assistant coach Becky Middleton, they talked discussed strategy. Coach Swarr said that she wanted them to pass a lot, watch out for the speedy E-town starters, and score in the first three minutes. The varsity girls did a cheer and ran out onto the field. 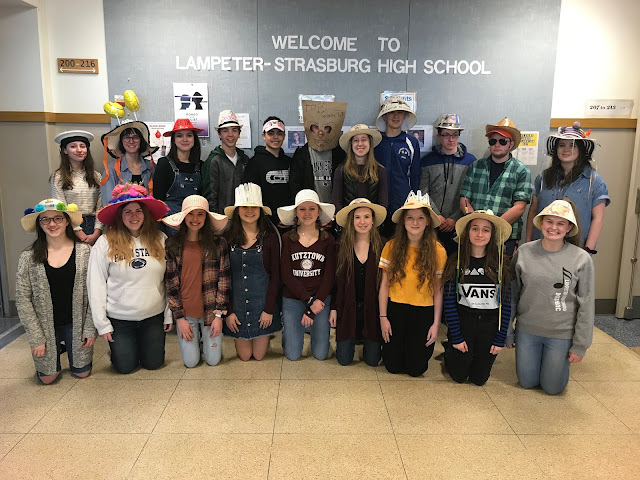 Lampeter-Strasburg started off strong. They kept possession and they were able to keep the ball out of their defensive circle for most of the first half. There were many passing combinations and lots of very good communication between the girls. At halftime the game was still scoreless. Both of the coaches had many positive things to say to the girls at halftime. The main thing that they wanted the team to do was score and win the game. The second half went well for the Pioneers until E-town scored. They got a corner and were able to score with only ten minutes left in the game. As soon as they scored Coach Swarr asked the ref for timeout. The varsity girls jogged over to her and all she said was to shake it off and score a goal. The top priority for them at that point was to score. L-S fought to the very end. They had many chances and played to the best of their ability. Unfortunately, they were not able to score and the final score was 1-0. 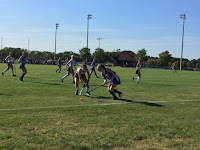 It was not a fun way to end the game, but the L-S field hockey players played very well and fought very hard.